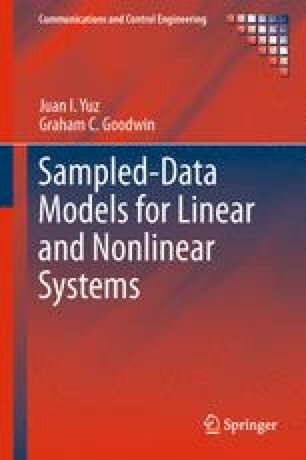 Most of the book deals with sampled models that describe the signals at the sampling instants. In this chapter we focus on describing the system response that occurs between samples. The ideas presented here build on the results for the at-sample response previously presented in the book. Two views of the intersample response are presented, namely in the frequency domain and the time domain.